Are you coming to the Czech Republic in the winter and looking for some fun day trips from Prague? 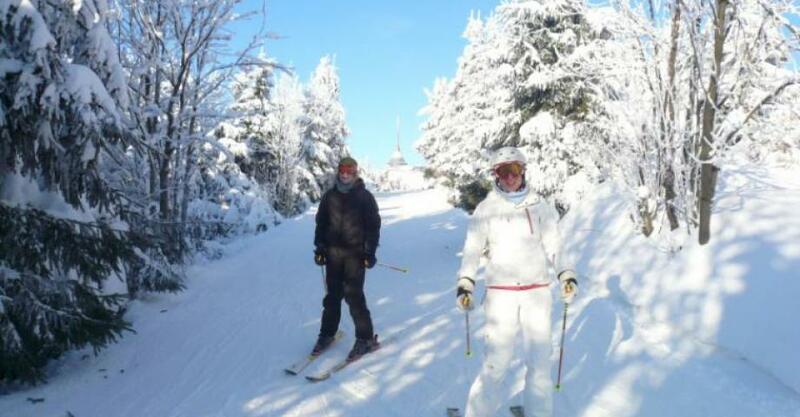 Skiing in Czech mountains makes for a perfect winter day trip as there are many Czech ski resorts near Prague. 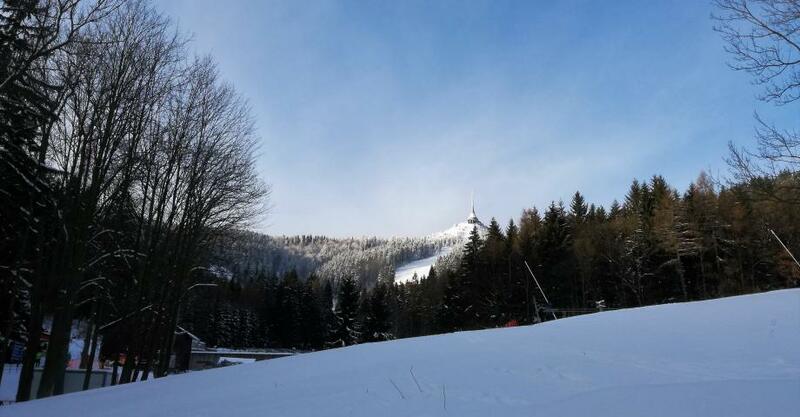 The Ještěd ski resort in Liberec is a great choice for snowboarding or skiing as there is a cableway, 6 lifts and ski slopes for beginners as well as for experienced skiers. You will reach the resort within 80 minutes of a comfortable ride in a minibus. 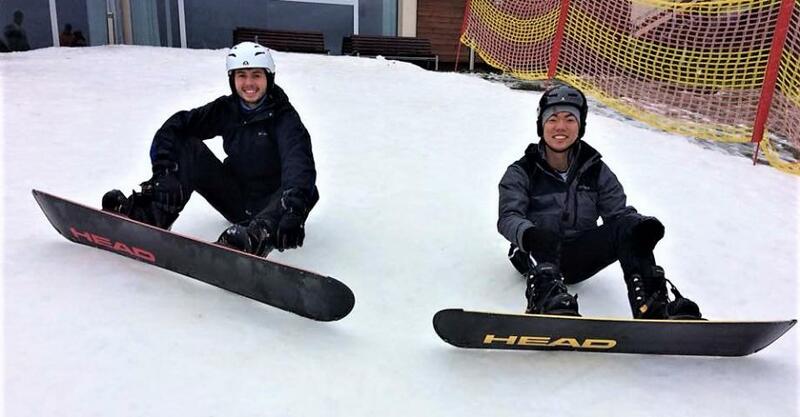 Leave the crowded city and come to enjoy the white snow, fun, and skiing in the mountains. A warm refreshment in one of the cozy pubs is waiting for you down the hill. 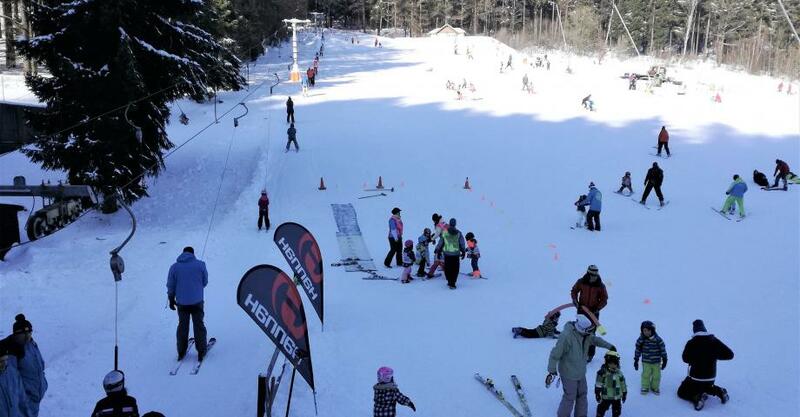 Transportation, ski pass, ski equipment, lunch and an English speaking assistance is included. All you need is warm clothing, but you can rent it on site. Get some fresh air and a break from all the sightseeing in the mountains! 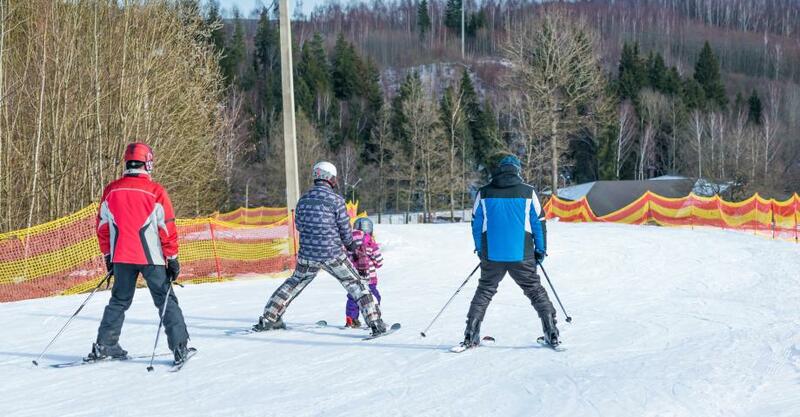 Enrich your winter stay in Prague with skiing or snowboarding just 1-hour drive from Prague. The Ještěd Ski resort can offer you 1 cableway, 6 lifts and 9 km of slopes. 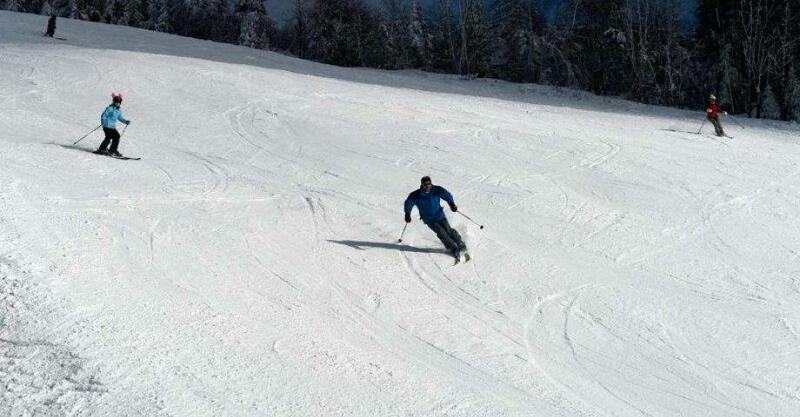 The slopes vary from easy to very difficult ones. 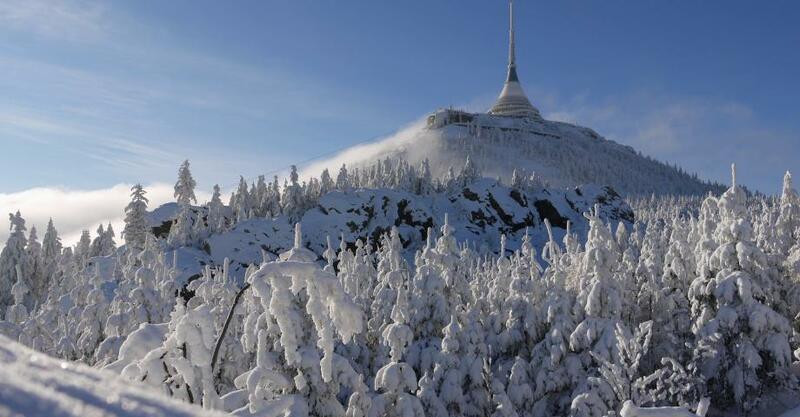 In case of bad weather or bad snow conditions on Ještěd mountain, we will take you to another ski resort at Monínec. It´s about the same distance from Prague as to Ještěd mountain. 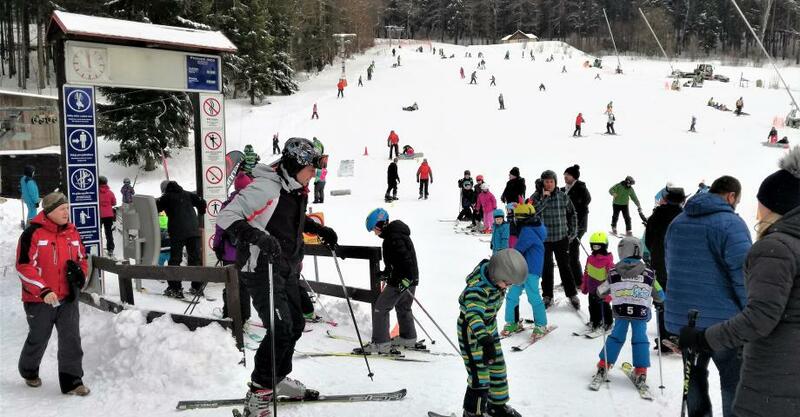 Pick-up/drop-off at your hotel, transfers in a minibus, English speaking instructor, ski pass, skiing equipment (ski or snowboard set, ski poles, boots, helmet, and goggles) and lunch with a drink. 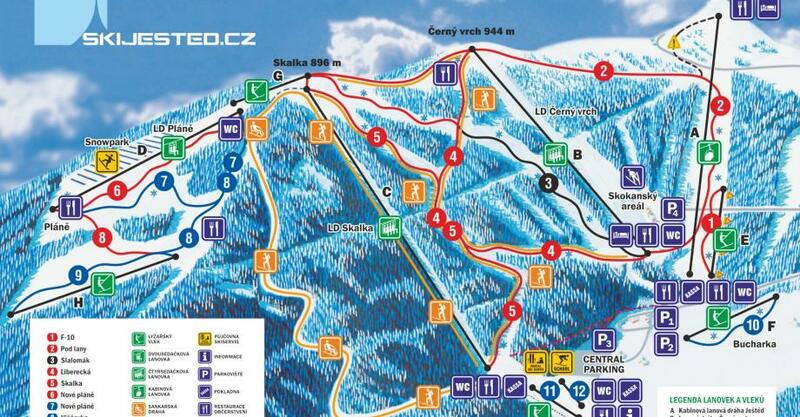 It´s possible to rent ski clothes on the spot for the charge 300 CZK/ 11 EUR/ person. Winter sports insurance is not included in the price. 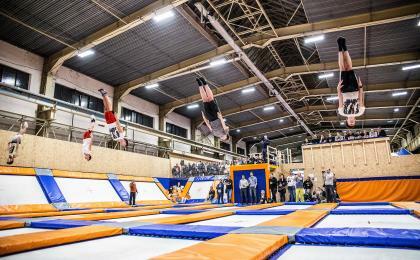 We cancel this activity in case of bad snow conditions. Participants under 18 years old need to be accompanied by a parent. 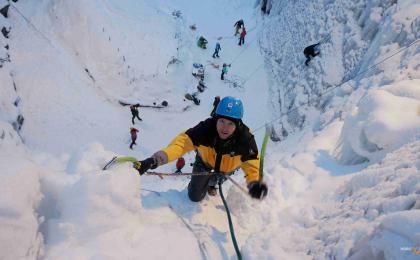 This is an outdoor activity, which can only take place in winter during snow season. We cancel the program in a heavy snowstorm or other bad weather conditions. Activity takes 8-9 hours including transfers. Experience is designed for 1 person. Comfortable ski clothes (warm jacket and trousers, gloves and cap) recommended. Please, be aware that winter temperatures can fall down to –10°C (and even -20°C), so dress accordingly to weather forecast. 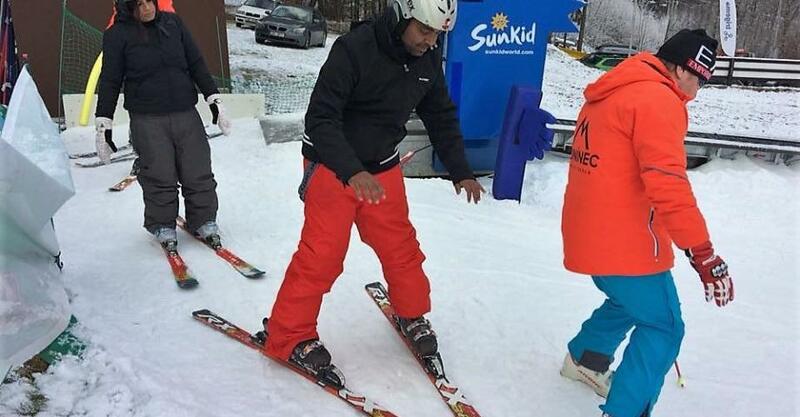 Ski clothes can be also loaned at ski equipment rental for the charge (300 CZK/ 11 EUR).